Courtesy of Mile High Land & Homes, Inc, Norman Wyatt. Driving directions: From Masonville go about 11.5 miles to Paradise Park Rd. Go West a 100 yards to looked gate. Must be accompanied by a Real Estate Agent. 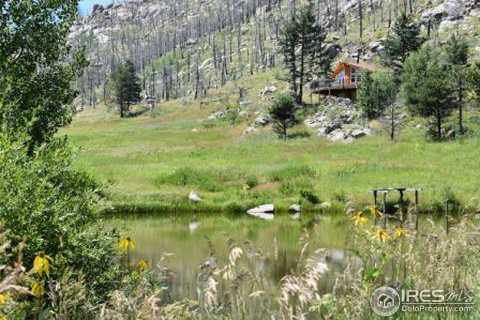 Please, send me more information on this property: MLS# 858938 – $385,000 – 2894 Paradise Park Rd, Bellvue, CO 80512. I would like to schedule a showing appointment for this property: MLS# 858938 – $385,000 – 2894 Paradise Park Rd, Bellvue, CO 80512.